When international issues of family law and matters of probate or succession arise, we are available to help. Frequently matters of family arise in an international context. Furthermore, the death of an individual and questions of their estate can frequently impact people in other countries. We can assist in matters of international marriage, divorce, child custody, wrongful parental child abduction, and child & spousal support. We can represent their international clients on hourly rates, for flat fees and also on contingency-that is on a no -win no fee, percentage recovery basis. 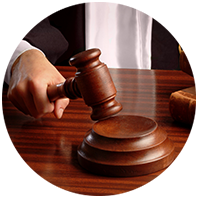 In the event that you have a claim on property left in the United States we can assist. We also assist in recovering money left in bank accounts of the deceased.